Traumatic brain injuries are very common in the work place. They generally result from disregard for safety codes or the carelessness of your fellow employees. 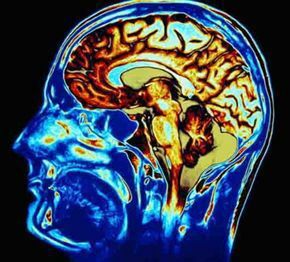 If you suffer a brain injury you may not realize the severity of the damage. You may have a concussion and brush it off; however, concussions are the most common traumatic brain injury, and they can have severe and lasting effects. The effects of a minor traumatic brain injury can include headaches, dizziness, personality changes, and more. They can prevent you from returning to work for an extended period of time, and in serious cases, the you may never be able to return to work. This is why it is important to report an accident to both your employer and a workers’ compensation attorney immediately. The only true prevention for these awful injuries is to be as cautious as possible. Depending on the industry, the most common workplace injuries that could lead to brain injury include truck accidents, equipment and machinery accidents, slip and fall accidents, and exposure to toxic chemicals. Always wear the appropriate dress and equipment for your work and follow all safety precautions. Report any signs of neglect or danger to management and be sure that a dangerous situation is resolved before you or a co-worker are injured. New Jersey is a no fault state, which means even if the accident happens at work and is your fault, you are still covered by workers’ compensation. The law can be tricky, that’s why if you or a loved one have suffered a brain injury due to a workplace accident, it is important that you contact a local workers’ comp attorney as soon as possible. Manfred F. Ricciardelli has been serving the Morris County community for over twenty years. He will help you build and fight for your workers’ compensation case. If you believe you have a case, please contact us today for a free consultation by filling out our online contact form or by calling us at (973) 285-1100.